Carol A. (Langlois) Hauser, 85, of Harrisville passed away peacefully Wednesday, September 5, 2018 surrounded by her family. 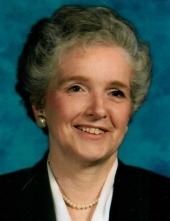 A lifetime resident of Harrisville, she was the loving wife of the late Frank Hauser Sr.
Carol obtained a Masters Degree in Education and worked for many years as a reading teacher at the Captain Isaac Paine School in Foster, RI where she later became principal, retiring in 1995. She was a life-long parishioner of St. Patrick's Church and was active with the Parish Food Closet and Christmas Giving Tree. She is survived by four sons: Frank Jr. and his wife Rosie of Killingly, CT, Michael and his wife Kim and Timothy and his wife Jeanne, both of Harrisville and Brian of Lincoln; two daughters: Mary St. Pierre and her husband Paul of Pascoag and Jennifer Bergin and her husband Richard of Harrisville; two sisters: Edyth St. Sauveur of North Smithfield and Elaine Giguere of Harrisville; eleven grandchildren and one great grandson. In addition to her husband, she is preceded in death by her mother Edith Langlois and her sister Jackie Blanchard. Her funeral will be held on Monday, September 10, 2018 at 10 AM from the Boucher Funeral Home, 272 Sayles Ave. Pascoag with a Mass of Christian Burial at 11 AM in St Patrick's Church, 45 Harrisville Main St, Harrisville. Burial will follow in the Parish Cemetery. Calling hours will be held Sunday from 4 to 7 PM. In lieu of flowers, donations in her memory may be made to St. Patrick's Food Closet, 45 Harrisville Main St., Harrisville, RI 02830. To send flowers or a remembrance gift to the family of Carol A. Hauser, please visit our Tribute Store. "Email Address" would like to share the life celebration of Carol A. Hauser. Click on the "link" to go to share a favorite memory or leave a condolence message for the family.